Preparing for Hispanic Heritage Month? Order Our New Bilingual Bookmark! You can also put copies of the bookmark in your neighborhood library, local businesses, or give it friends and family. Order it today in English or Spanish! 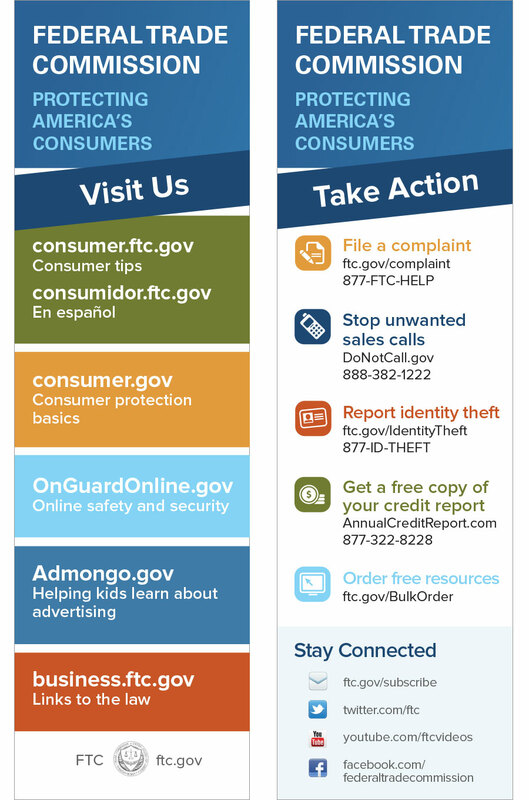 Check out all of the FTC’s resources at our bulkorder page and order now to get bulk quantities sent (for free) in time for all of your outreach activities. Please allow up to four weeks for delivery. We like your publications. They are taken by the public and comment on the helpful information. The major comment is that they did not know the FTC was investigating fraud & Scam matters. Good Work!